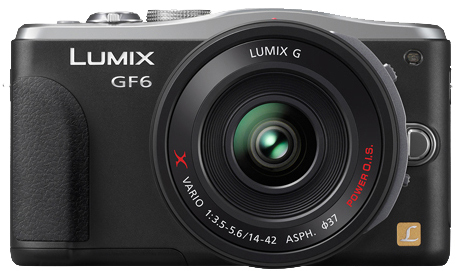 Panasonic have just announced the release of their latest Micro Four Thirds camera, the GF6. Connectivity seems to be the name of the game with this new camera which includes WiFi and the ability to connect with NFC enabled devices such as compatible smartphones and tablets. Specifications include a 16 megapixel sensor powered by a Venus engine processor, the ability to connect the camera to a compatible smart phone or tablet by simply bringing them together, 19 filter styles in the creative control mode (increased from 14 filter styles in the GF5), Full HD 1080p movie recording at up to 60fps, the ability to shoot RAW and a 180 degree rotating touch screen (great for selfies). Connecting to a smartphone or tablet is made possible by using Panasonic's Image App which allows the user to utilize their smart device/tablet for image monitoring straight from the camera. Additionally it also delivers shutter control, zoom (using the Panasonic Power zoom lenses PS14042 and PS45175), focus, manual camera settings and even starts and stops movie recording. Autofocus is also improved with the ability for full time autofocus, AF tracking during video recording and improved low-light AF with the integrated Low-Light Autofocus mode. The new 1040k (approx.) touch screen LCD is now easier to see in bright light and has better colour reproduction for more accurate previewing. Now you may even activate focus and exposure by simply touching the area of the photo you want to be focused and exposed correctly. Panasonic are yet to set a price or release date but stay tuned as we will keep you folks updated with price and availability the moment it’s approved by Panasonic Australia!